As a woman, there are several options of what to wear and how to wear them. I’m currently working on a project that requires me to select only three basic items found in every woman’s wardrobe, so I’m seeking your opinion on this one guys. Help!!! 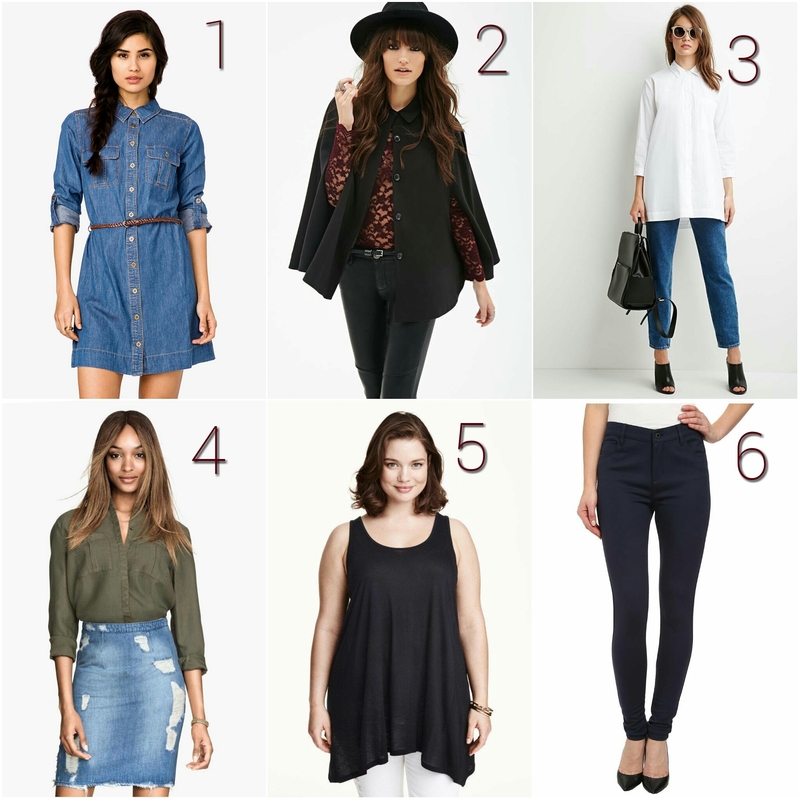 To make this easier for everyone, I selected photos of 6 essential fashion items and I’ll need you to vote for which 3 you believe are the must haves in a woman’s wardrobe. Worthy of mention is the status of the ‘woman’ in question. She’s 23 years old, college student and works part time at a local grocery shop. To vote simply state in the comment section below the numbers attached to the photo of which 3 fashion pieces you think are essential for a woman. For example; 1, 4 and 6. Better still, you’re free to mention your chosen items and why you picked them. Can’t wait to see what you guys pick! Previous Post For Better Brighter Skin. Next Post Keep The Passion Alive!